Breez smart controller gives you the luxury of controlling your ductless heat pumps or air-conditioners from anywhere. Breez automatically turns the air conditioner or heat pump off when you leave the premises and starts to cool/heat on your return as per your set schedule. Breez can reduce your heating / cooling costs by up to 20%. Breez is fully compatible with all famous brands of ductless cooling and heating systems operated through IR remote controls. 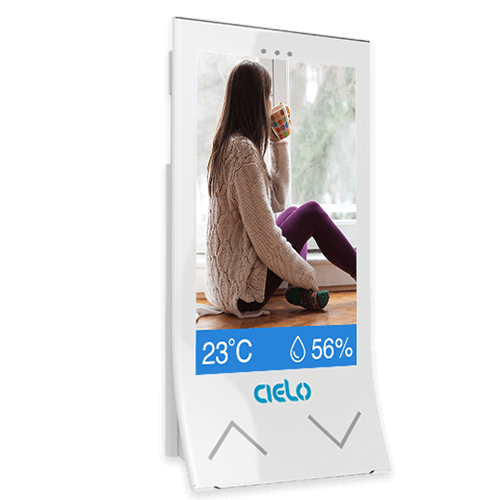 The associated Cielo app gives you complete control of your heating or cooling through Breez. Cielo Breez comes with a stylish display which adds to your home décor. Breez smart controller gives you the luxury of controlling your ductless heat pumps or air-conditioners from anywhere. Breez automatically turns the air conditioner or heat pump off when you leave the premises and starts to cool/heat on your return as per your set schedule. Breez can reduce your heating / cooling costs by up to 20%. Breez is fully compatible to all famous brands of ductless cooling and heating systems with remote controls. 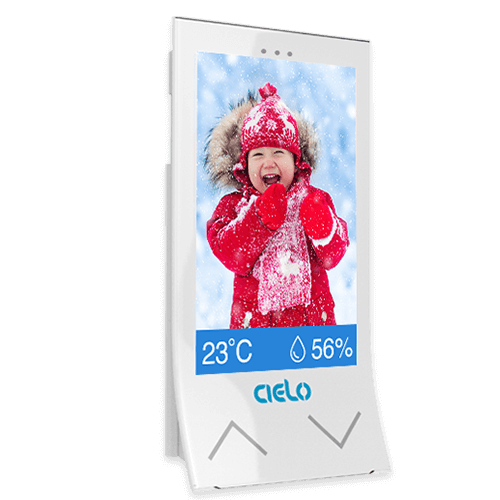 The associated Cielo app gives you complete control of your heating or cooling through Breez. Cielo Breez comes with a stylish display which adds to your home décor. The Breez smart controller controls your ductless heating / cooling via infrared, just like your remote control, and connects seamlessly through your Wi-Fi to the internet. Breez regulates the air conditioning using the user’s locations. Breez app figures out when you’re home and when you’re out, adjust the settings to provide comfort when people are in the home and energy savings when no one is at home. You can schedule your ACs/ heat pumps, get notifications about excessive usage, set appliance action in relation to your locations and unlimited controls from anywhere. 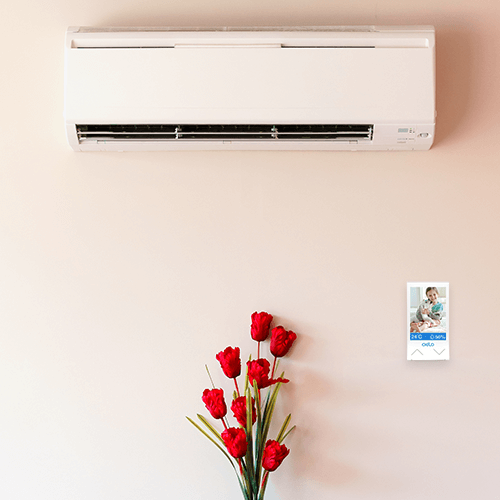 Breez works with all remote control ACs and Heat Pumps. The Breez smart controller controls your ductless heating / cooling via infrared, just like your remote control, and connects seamlessly through your Wi-Fi to the internet. 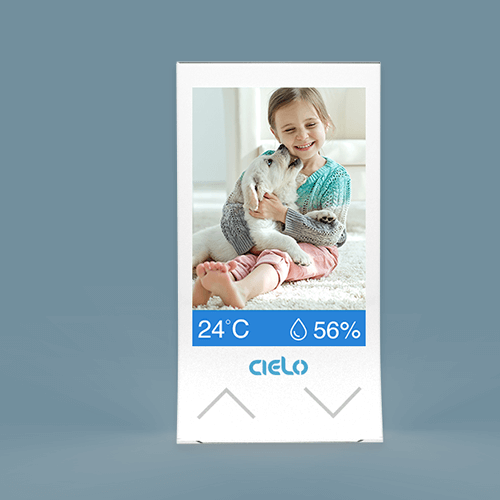 Cielo Home app is designed to work seamlessly with Breez and interact with Cielo AWS IoT Cloud. 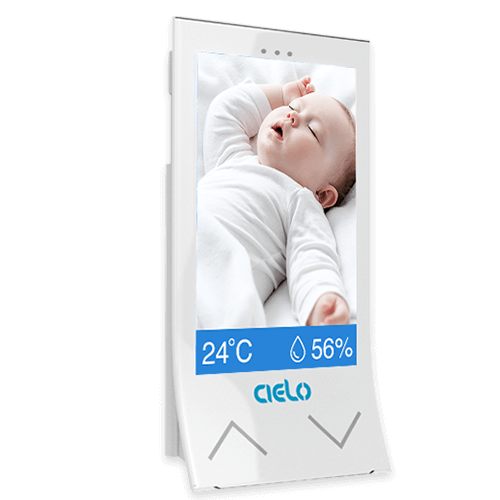 Cielo app uses sensor data, predictive algorithms and your phone's location to automate your air-conditioning. You can schedule your heating / cooling, get notifications about excessive usage, set appliance action in relation to your locations and enjoy unlimited controls from anywhere.